HEROES. 9 tonight, Channel 10. NO ONE'S missed "Heroes" more than NBC, which this month has seen its weekly Nielsen ratings drop to reportedly record lows. You know things are bad when "Deal or No Deal" is the biggest thing on the schedule. And when big means 11 million people. So bringing back a show that's averaging 14.8 million viewers should probably help a bit. But those of us without stock in NBC Universal parent General Electric have other reasons to rejoice in the return of "Heroes." ABC's "Lost" is stringing us along, playing out its gigantic ball of yarn a millimeter or two each week, while Fox's "24" is skimming along so fast it seems to have run through the main storyline with hours to spare. Not to sound like Goldilocks, but in a world where serials are either too fast or too slow, "Heroes' " pace strikes me as just right (though I wouldn't mind seeing it air in an unbroken season, the way "24" does). I did wonder at one point, as the show hurtled from plot point to plot point early last fall, whether creator Tim Kring's talented mutants might not save the world (and the cheerleader) by Christmas, leaving nothing for the spring but the exploration of parallel universes, or whatever it is comic-book heroes do when things are slow at work. Kring's shown us plenty, but there's plenty more to discover. 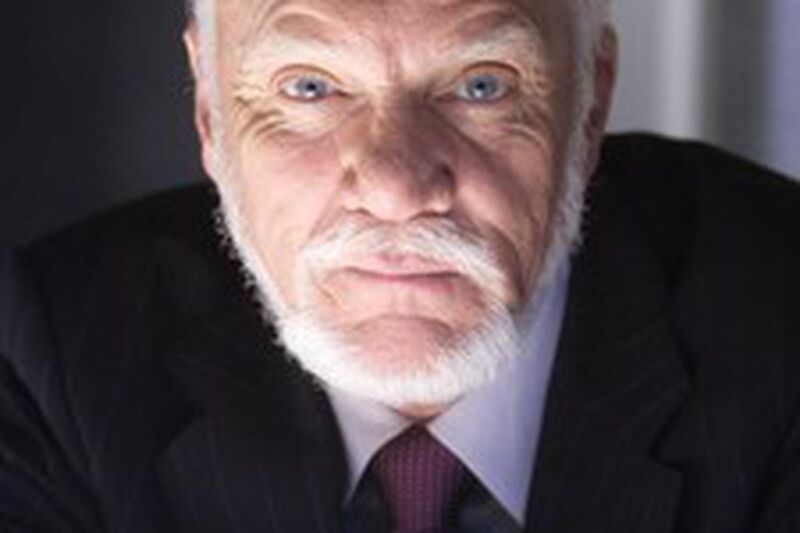 One of your tour guides this evening will be the mysterious (and frankly irresistible) Linderman (Malcolm McDowell), whose plans to save the world may not be quite in line with those of Hiro (Masi Oka) or Peter (Milo Ventimiglia). we've joined this story in progress, and that it's been going on even longer than we'd thought. Could saving the world be only the beginning? There's life after "The Sopranos." Or so says HBO, which is already looking past the groundbreaking series' June 10 finale, which will be followed, at 10 that night, by the premiere of "John from Cincinnati," the metaphysical series about surfing from "Deadwood" creator David Milch. The polygamy series "Big Love" - which, like "The Sopranos," is about a middle-class American family with some big secrets - moves to Mondays in its second season, which premieres June 11. But if you'd rather watch it on Sundays, HBO's rerunning the previous Monday's episodes at 8 that night, starting June 17. That's also when "John from Cincinnati" moves into its regular 9 p.m. time slot. At 10 that night, "Entourage" will launch its fourth season, which will no doubt confuse those who thought they were already watching "Entourage's" fourth season. But no, what we're seeing now is the back end of the show's third season, which will wrap up June 3. The "Entourage" premiere will be followed at 10:30 by the launch of "Flight of the Conchords," a half-hour scripted comedy starring a duo described on their own Web site as "New Zealand's fourth most popular digi-folk paradists."